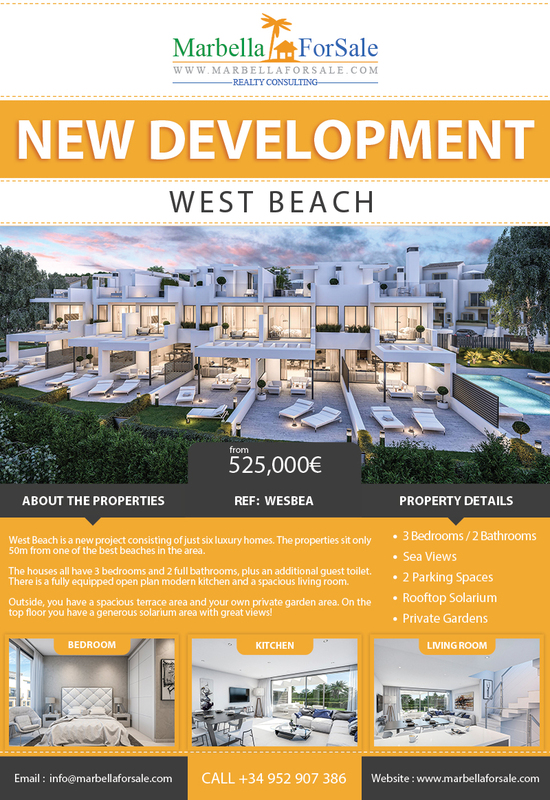 West Beach is a new project consisting of just six luxury homes. The properties sit only 50m from one of the best beaches in the area. The houses all have 3 bedrooms and 2 full bathrooms, plus an additional guest toilet. There is a fully equipped open plan modern kitchen and a spacious living room. Call +34 952 907 386 or email info@marbellaforsale.com today for more information.